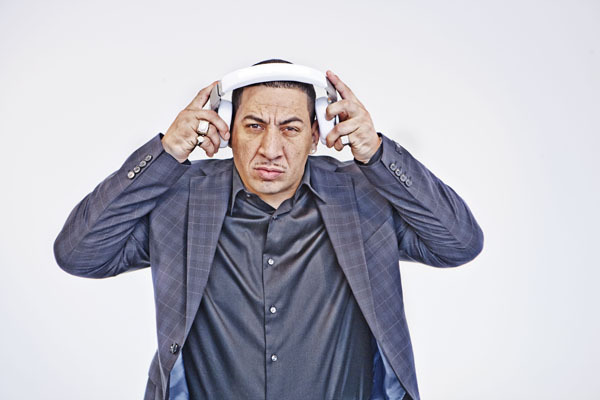 In the 1970s, Kid Capri began to attend block parties, starting his DJ career at age 8. His stage name was taken from a girl he used to date who was eventually “murdered by accident.” During class one day, she had said to him, “Kid Capri sounds like a good name for a DJ,” and he later took her suggestion. He eventually garnered widespread attention at Studio 54 and began selling his sets with his partner at the time, Starchild. Kid Capri has deejayed for seven seasons of Def Comedy Jam. He has produced tracks for Boogie Down Productions, Heavy D, Big L, Grand Puba. He eventually released an LP on Warner Brothers Records titled The Tape in 1991. He appeared in the 1993 movie Who’s the Man?. In 1997, Kid Capri signed with the Track Masters’ Columbia Records-distributed label after he appeared on the 1997 Puff Daddy and the Family World Tour. He has subsequently released Soundtrack to the Streets in 1998. Kid Capri has been involved in his own record label, No Kid’n Records. He was featured on the itshiphop.tv show The Breakdown, in which he talked about his current and future projects, his views on Japan’s hip hop scene, and the origin of his stage name. On July 29, 2007, Kid Capri made an appearance during Rock The Bells 2007 as Rakim’s DJ. Kid Capri also made an appearance as Rakim’s DJ during the Rock The Bells 2008 show on July 19, 2008 in Tinley Park, Illinois. Kid has been featured as lead judge on Smirnoff’s Master of the Mix, the BET reality TV competition in search of the nation’s best DJ. In March 2012, Kid was commissioned to remix “Masterpiece”, an exclusive track featured on the special Smirnoff Nightlife Edition of Madonna’s album, MDNA. He joined her for the album release party in Miami as a part of Winter Music Conference, and the album was released on March 26, 2012. Kid has also been featured on Kendrick Lamar’s Song “ELEMENT.” in which he has vocal parts in the intro and closing.